Aussizz Group is the trusted and Pearson approved reseller of the PTE Academic Test. 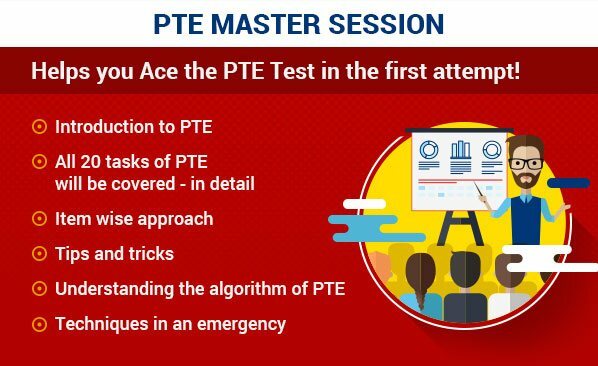 Actual cost of booking the PTE Academic Test is Rs. 13300. Aussizz is providing the PTE Academic voucher at Rs. 12250; a discount of Rs. 1050! Receive voucher code immediately after payment process in your e-mail and through SMS. Use that code while booking the test to avail discount. 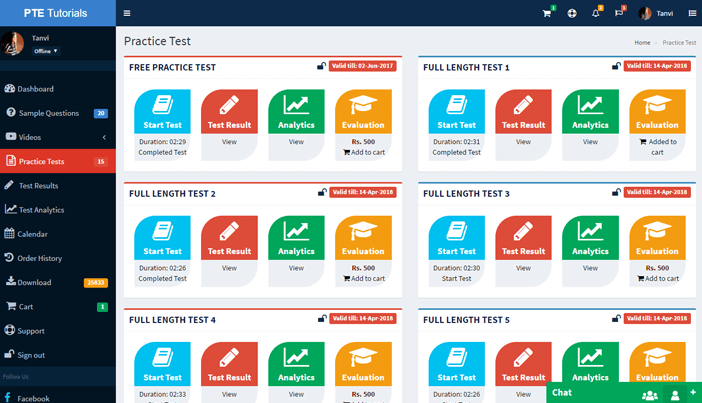 Get high quality Practice Tests free with the purchase of every voucher to help you ace the actual exam. 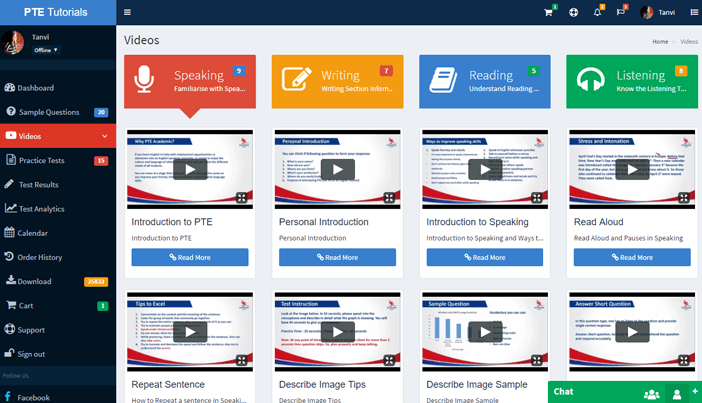 Get useful reference material for PTE test. Make best use of them and practise to improve your performance. Receive support right from buying PTE voucher from our website to booking the PTE exam using the voucher code. You can book the test online at short notice of 48 hours. 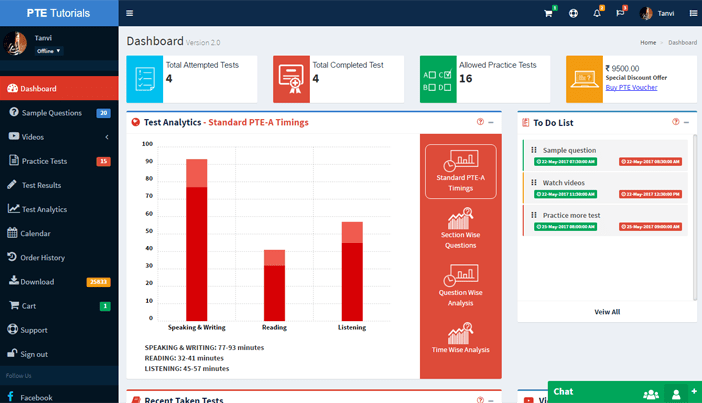 Pearson typically delivers PTE Academic result within 5 business day. 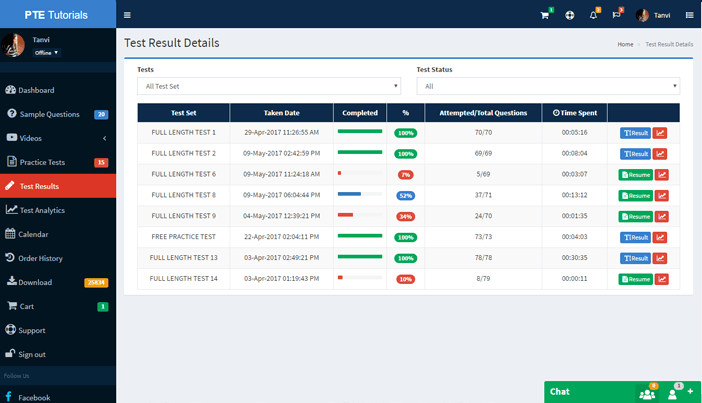 Highly accurate computerised marking system of Pearson PTE test means consistent scores and no potential for examiner bias. Multiple test dates are available, 363 days a year across 200 locations all over the world. How many practice test do you give with the voucher? 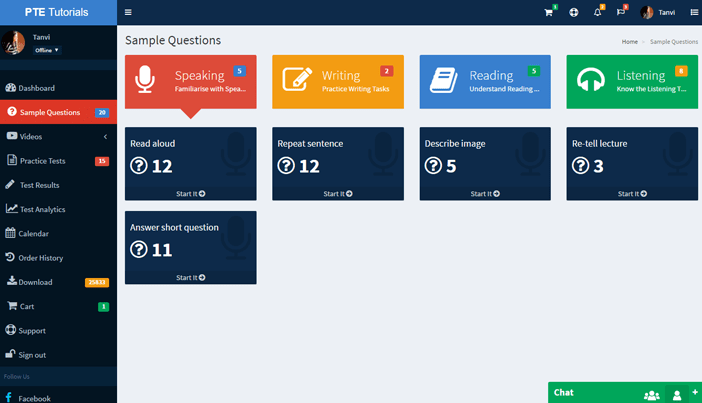 As of now, we offer free mock tests with each voucher. However, you can go for other awesome tests by paying a little more to master the exam. What is the difference between PTE General and PTE Academic? PTE General is not accepted for visa application. On the other hand, PTE Academic is valid for all sorts of visa applications. When can I get my results after taking the exam? Generally, the result comes within 5 working days. If your result is delayed, you can call on 0008004402020 (the toll free number) in India. How soon can I book for another exam? You require minimum of 5 days gap before booking for another PTE exam. Do you provide an online coaching in India? Yes, We provide online coaching across the world. Please visit https://ptetutorials.com/online-coaching & book your class now. Does PTE Academic work for both migration (PR) and studies (student visa)? For education - yes, all countries consider PTE valid. For PR or migration: As of now, Australia and New Zealand accept PTE. What is customer care number for PTE in India? The toll free number in India for PTE is 0008004402020. It serves from Monday to Friday between 9 am and 5 pm. We are an authorized and leading re-seller of PTE vouchers in India and Australia. We buy voucher in huge amounts at discounted prices which we simply pass on to you! What is the validity of voucher to redeem on PTE website? The voucher is valid for 11 months from the date of purchase. What are the actual PTE exam fees in India? The acutal PTE exam fees in India are INR 13300. Aussizz offers you the voucher that brings down the cost to INR 12250 only...saving INR 1050 on the test fees! Which area I should be in to have a valid voucher? Aussizz Group's PTE voucher is valid across India and at any center. Beyond doubt! We are the market leaders and front-runners in dealing with Australian visa processes and trainings required for the same. Serving since 2009, we are the most sought after group in India and Australia. We are listed on the original website of Pearson under the title -voucher resellers. Can I gift this voucher to my friend, relative or any test taker? Absolutely! Gift the voucher to someone who really needs it! If I buy voucher on my name, can anyone use it? Why not! We are not that strict! An Aussizz voucher can be used by anyone irrespective of who bought it! How to apply the voucher on the Pearson's website? 1. Go to www.pearsonpte.com and click on BOOK NOW. 2. There is SIGN IN now button, click on that. 3. 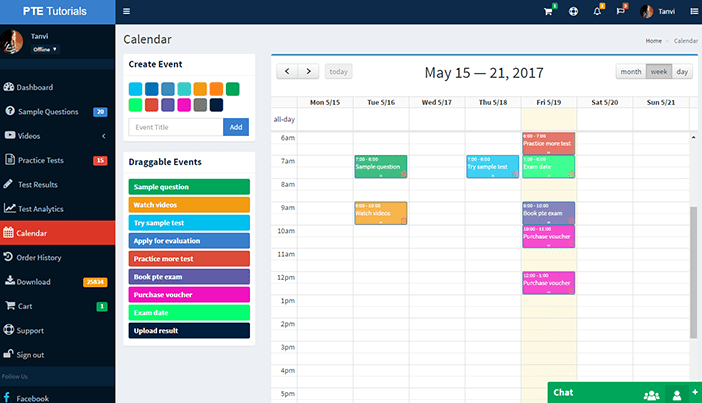 There is a column having an option of SCHEDULE EXAM at left hand side. 4. Now select the nearest 5 centers and click on the SEARCH button. 5. Here, you can see the selected center. 6. You need to select the Month , Date and Time slot. 7. After selecting the time slot, click on SELECT APPOINTMENT in a yellow tab. 8. Press next, here you can see the PLT registration questions. 9. Click Next. This is the page where you need to apply the voucher code. 10. SCROLL DOWN to view the voucher tab. 11. After entering (you can copy and paste also from the mail received from Aussizz) the code, you need to click 'APPLY VOUCHER'. 12. Once you have applied the voucher code, the TOTAL DUE amount should become NIL (0.00). This means that you have successfully redeemed the code. 13. Click NEXT to review your order. Click on the CHECK BOX (I have read and agree terms and conditions) and then click on CONFIRM ORDER. 14. After confirmation, you will receive a confirmation mail from Pearson. And, BINGO! You just saved great amount of money! We wish you all the best! Can I purchase two vouchers and book two slots together? You can buy as many vouchers as you want. Nevertheless, we cannot book two slots altogether. As we have to follow the norms set by Pearson, we need to have a minimum 5-day gap between two exams. I was traveling to India for a week and could not use the voucher. Can I ask for an exchange the voucher I purchased in India with Australian voucher? I am ready to pay the difference. Codes are pretty country specific and thus, we don’t allow such exchange. In simple words, use India's code in India and Australia's code in Australia. What if the purchased voucher does not work? This is something we have not observed yet! Still, if you find any difficulty, you may contact us and we will try to rectify it. In the rarest rare case, if there is a technical glitch from our side, we will replace the voucher! If it is from the PTE side, we will assist you to overcome the issue. How can I check result of my previous attempts or all attempts? How many attempts are there in total for each test? There is only 1 attempt for each mock test. You cannot retake the same test. Who has created these mock tests? Certified PTE-A trainers have developed these mock tests keeping in mind all the standards of official Pearson Test of English Academic examination. All the content (texts, trademarks, illustrations, photos, graphics, files, designs, arrangements etc.) 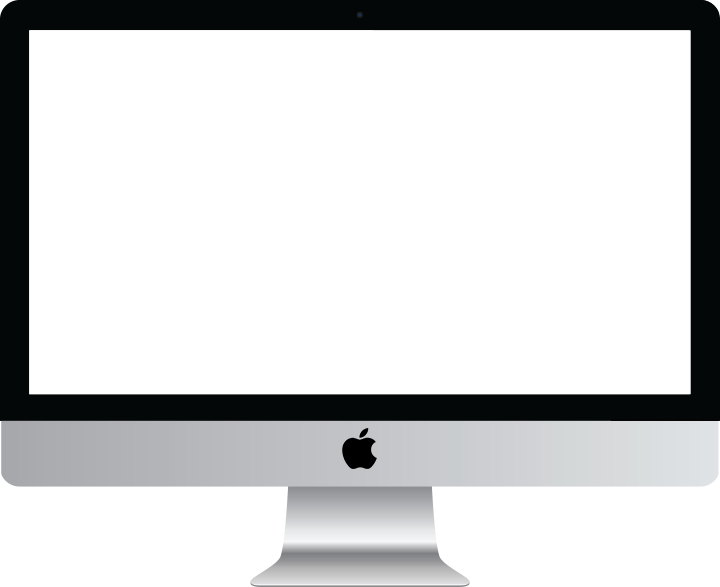 & media of the tests are a copyrighted and owned by Aussizz Group. All intellectual property rights in relation to this website are reserved and owned by Aussizz Group. Are these mock tests autoscored one? or Are the scoring provided? 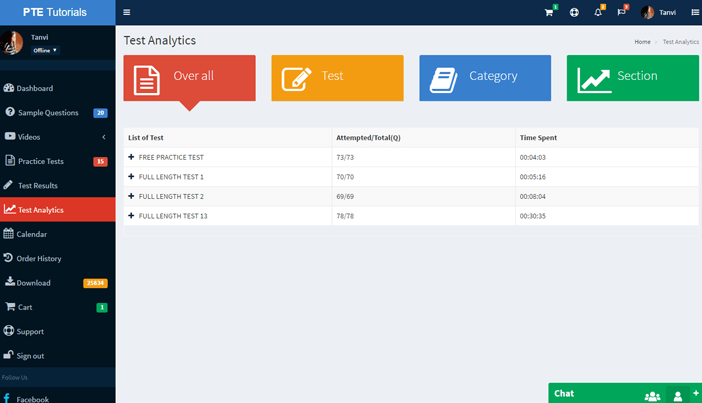 The mock tests are not autoscored. However, we do provide the scoring. You can get score for a particular test at a nominal price. The option is available in the portal inside after you log in. Our PTE expert will evaluate your test and score it as per the PTE test standards. The scores will be emailed to you within 5 working days. Note that the scoring is not exact but near to real PTE test. Can I use these mock tests to get high score? Who will be evaluating these tests? Are these mock tests similar to actual exam? What are the possibilities to get same questions in actual exam? What are the video tutorials? What if I want to give a feedback? 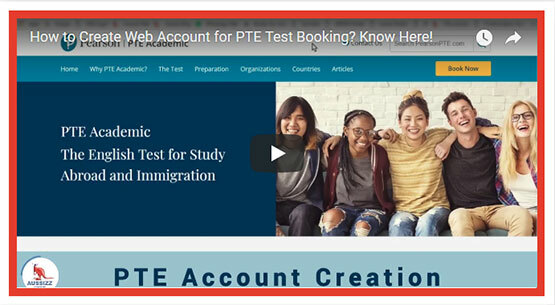 What is the charge for rescheduling the PTE exam? Where to pay that? 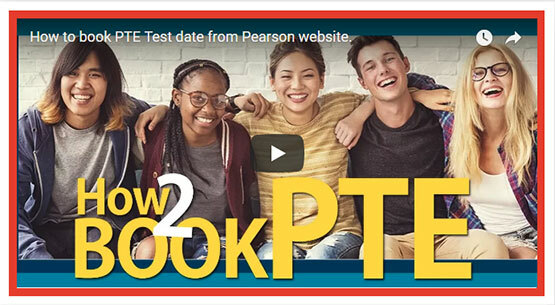 If you opt to reschedule the PTE exam before 7 calendar days of your actual test date. It is 25% of the total fees charged. You can pay directly on the PTE website while rescheduling. Please note that no voucher is available for rescheduling. What is the refund policy of PTE and Aussizz Group? Will I be able to change my center after buying voucher from us? Certainly! You can change the center after buying an Aussizz voucher. Say you bought a voucher from us with Bangalore as your center. Later, you can certainly change it to Chennai! What amount of refund will be initiated? Does it includes any deduction of tax or any hidden charges? As per the norms of Aussizz Group, in case of refund, 18% GST and 3.25% Service tax will be deducted. What if I am charged twice for one code? We will not ask you anything. The extra amount will be refunded! What is cancellation process? Say, I want to cancel it after booking for the exam? You will get 50% of amount refunded if you cancel your exam before 7 calendar days of the actual test date. If you opt to reschedule the PTE exam before 7 calendar days of your actual test date. It is 25% of the total fees charged. You can pay directly on the PTE website while rescheduling, You will be able to reschedule during the validity of your voucher code only. Please note that no voucher is available for rescheduling.